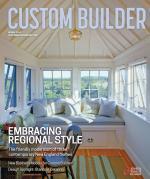 Tim Gregorski is Editor for Professional Remodeler. He joined PR in 2012 and has more than 15 years of B2B editorial experience in the highway and bridge, transportation management, water and wastewater, concrete construction, and AEC industries. Recently, long-time Professional Remodeler Editor in Chief Jonathan Sweet decided to take on another position in publishing outside of the construction industry, one that would allow him to return to his roots in Minnesota. I spoke with Jonathan shortly before he moved, and he mentioned that leaving Professional Remodeler was not an easy decision. Especially considering the number of years he spent in the industry, not only in his role with Professional Remodeler but also as a colleague and friend to many of you. He left an indelible mark on the publication, one that will resonate for the foreseeable future. Of course every time a new editor is hired for a publication, there is talk of change and promises to make the publication better. I can assure you the editorial plan developed for Professional Remodeler by Jonathan, in concert with Editorial Director Pat O’Toole, will stay intact. You can expect the same high-quality editorial content, market analysis, and product reviews with every issue that lands in your mailbox. The editorial philosophy will also remain the same for www.housingzone.com, as well as the bevy of electronic offerings that fall under the Professional Remodeler brand. So, the question you’ve all been asking: Who is this new guy? Let me offer some insight into my background. I have been involved in publishing for more than 15 years and worked on various titles covering the highway and bridge, transportation management, water and wastewater, and concrete construction industries. Most recently, I was Senior Editor for Building Design+Construction, the leading publication serving the AEC industry. Prior to my time at Building Design+Construction, I served as Editor in Chief of an industry-leading concrete publication. The audience for this publication, general contractors and concrete contractors, closely mirrors the Professional Remodeler audience. I have learned over the years, as many of you know all too well, running a construction company these days is tough business. Each day brings a new set of challenges. Often times, as a business owner, you never know what hat you’re going to wear on a particular day. But that’s what makes the job exciting and it has drawn us to this industry. Recently, I have spoke to a number of you as part of our 40 Under 40 competition (see 40 Under 40 page 16). From my perspective, it was encouraging to discover the many interests we had in common, both personally and professionally. Comments on: "A new endeavor"